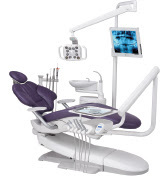 MaccabiDent Ltd is a chain of dental clinics that is part of the Maccabi Healthcare Services Group, the leading health organization in Israel. All 52 of the chain's clinics champion treatment quality and professionalism above all. The chain is home to Israel's foremost specialists, including specialists in oral medicine, oral rehabilitation, oral and maxillofacial surgery, orthodontics, periodontics, root canals, and children's dental care, as well as expert consultants who are among the finest in their fields. 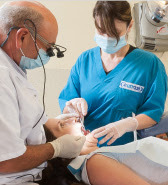 The advanced and innovative MaccabiDent dental clinic at Assuta Hospital in Ramat Hachayil, Tel Aviv presents a new standard of Israeli medical excellence. This is the largest, safest, and most sophisticated hospital in Israel, in terms of the quality of its world-leading advanced technology and its high healthcare standards. The hospital provides the very best medical services as well as senior physicians, all according to the longstanding Assuta tradition. Learn more about Assuta hospitals. The MaccabiDent dental clinic at Assuta offers overseas patients all the advantages of Israel's most advanced dental treatments. Benefiting from its location in the Assuta hospital complex, the clinic provides a sophisticated, luxurious, and safe environment, with the most modern equipment and the finest dental supplies required to ensure safe, high quality dental treatment. 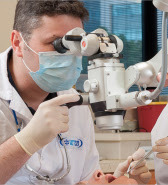 At MaccabiDent Assuta, all treatments are performed under one roof, including complex treatment plans, which can be carried out within a short time period. The clinic is certified to the ISO 9001:2000 international quality standard.